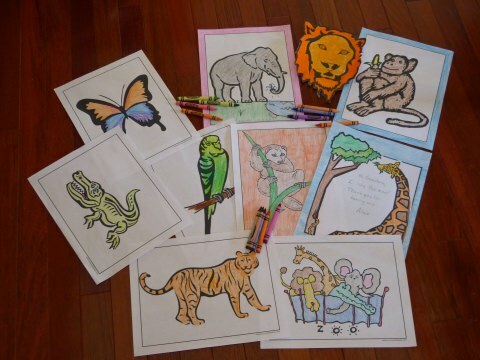 Fuzzy has hundreds of printable animal coloring pages! 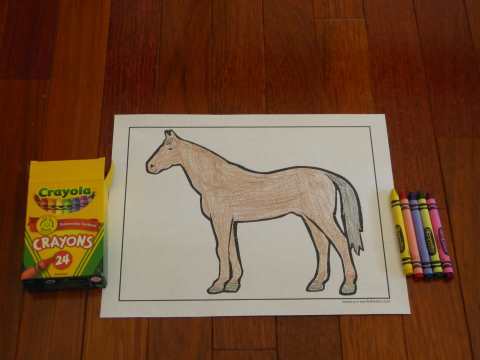 These fun animal coloring pages make any time a happy time! Choose your favorite animals in this chart or see our baby animals, farm animals, and zoo animals in the charts below. I really like bugs and insects so you can see those at the bottom of this page too. Enjoy! Baby Animals Coloring Pages – I think babies are so cute! Which cute baby animals do you like best? Fuzzy loves farm coloring pages! I remember being on the farm when I was just a bear cub. There were lots of animals and yummy food! I had a wonderful time on the farm. Have you ever been on a farm? I hope so because it's so interesting to see where our food is grown. Maybe you can pet some farm animals while you visit. 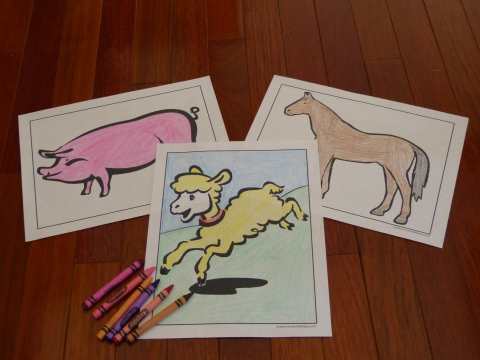 Which of these coloring pages of farm animals is your favorite? 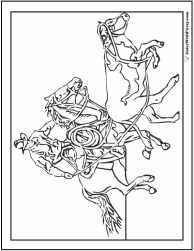 Beautiful horse coloring pages to print. Farm Coloring Pages – There's more on the farm than animals so I've made coloring pages of things that you can see on the farm. You'll see farm fields, farm vehicles, tractors, and other farm equipment. My favorites are the tractors because I like getting rides on them and they can do so many things like plowing, planting, and harvesting all that wonderful food! Insects and bugs are so interesting! Some bugs fly, some crawl, and some slither. My favorites are the bees because they give me honey and honey is my favorite treat! Which ones are your favorite insect coloring pages? The beach is a lovely place to watch ocean animals. I love to go to the ocean to see what animals I can find. Some ocean animals are in the water, some are on the beach! 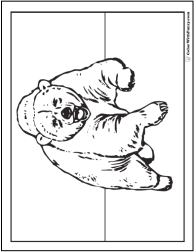 Fun coloring pages of zoo animals! I love taking a trip to the zoo. Do you? I love to see the lions and tigers and bears. The monkeys are always busy, especially if you visit the zoo when it is cool or when the zoo keeper is feeding them. Sometimes monkeys and chimpanzees do some funny tricks! 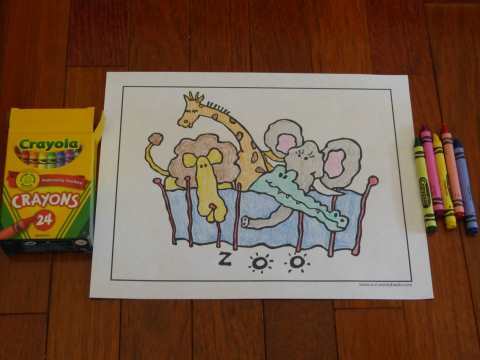 Choose your favorite zoo animal printables from this list! 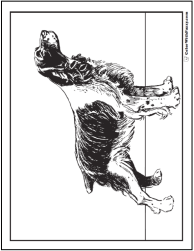 These are such great animal coloring pages to print for kids. Teachers and parents can use them in school, at home, for parties, and for projects. 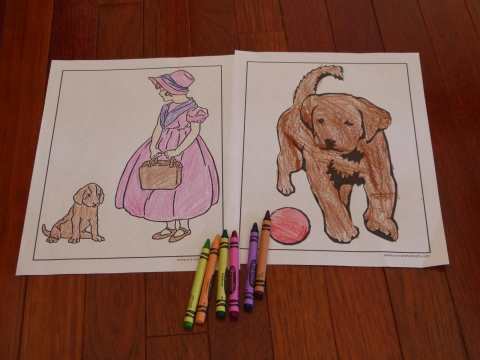 Have fun coloring and thank you in advance for sharing with family and friends! Pin Fuzzy's coloring pages of animals and share them!